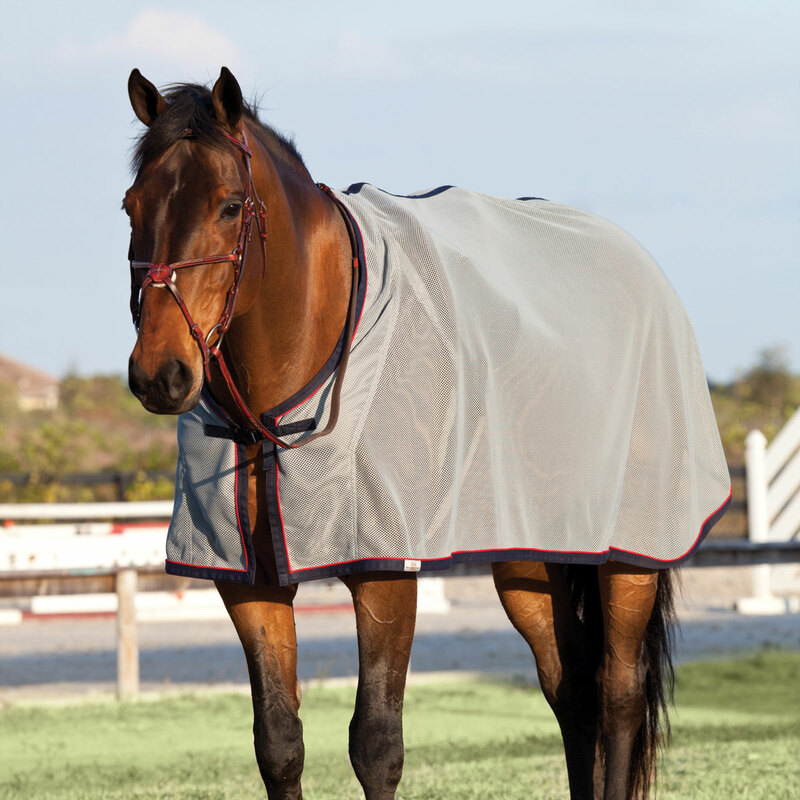 Make a statement at the in gate and stand out from the crowd in a new custom-designed Clothes Horse Acrylic Scrim! Your choice of body color, trim color, and piping color create a truly unique look that's all your own. Each Clothes Horse Acrylic Scrim comes complete with a lovely coordinating braided tail cord and a convenient snap front closure. The Clothes Horse Custom Acrylic Scrim Sheet is rated 5.0 out of 5 by 2. Rated 5 out of 5 by Animalfarm from Pure Perfection This scrim is just lovely- beautifully tailored and made, the fabrics are high quality and beautiful. Sizing runs a tad on the large size. Very pleased with the purchase- I have no doubt this will last for years! Rated 5 out of 5 by Prime Time Rider from Prize Winning Quality! I ordered two of the Clothes Horse Acrylic Scrim Sheet to be given as champion and reserve awards at a regional horse show. The quality was excellent and the scrims looked great for the awards ceremony. They are a bit pricey, but you get what you pay for!